We will be selling a new complete CNC control kit to retrofit an Anglematic Metal Punch Machine, this will include, software, cables, manuals, encoder, PLC logic diagrams and step by step instructions. A CNC machine technician, electrical engineer or skilled technical staff should find the kit easy to install. This CNC control kit will be available December 2017. In 1994 IES did a control kit upgrade for Naco Structural Engineering based in Wadeville, Germiston at the time, the company has since been closed down. The Foreman of the Company Mr Willie Labuschagne was very happy with the improved performance, production output and accuracy that we were then given much more work by Naco in the form of full scale, CNC retrofits on 2 Peddinghaus Machines. We are confident that the control kit will be extremely good value and can be installed and setup easily. * Windows based control, very easy to use with many features. * Very stable system with intelligent software to monitor most of machines functions. * Entire kit is cost-effective allowing a company to upgrade their Anglematic easily. * A machine technician with technical skills can install and support the upgrade. 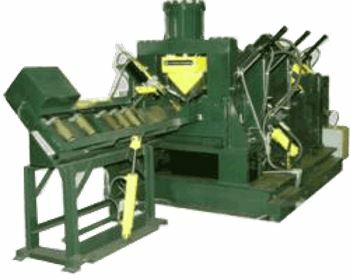 * Improvements in accuracy and output production. 1 x Set of 12v Industrial Buttons. 1 x Set of all cables, connectors, labels. 1 x Set of Cardboard mounting templates for AC Drive + PLC. 1 x Dedicated pre-programmed PLC. 1 X Full setup, config, operation documentation in Pdf format. 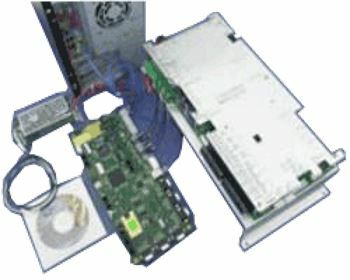 1 x CD Rom with all required documentation, PLC + Drive software. At the this point these are the main components however this may be added to in the future. IES would like any companies or individuals interested in this forthcoming Control Kit to contact us, it is important for us to get feedback as to the popularity of this commercial kit. Please note that the control kit would also function fine with a similar machine with the same functions as an Anglematic, it would require a slightly different setup however.